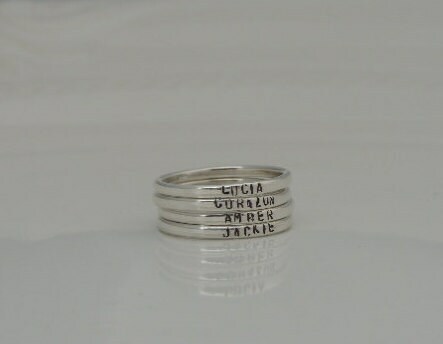 This listing features beautiful dainty sterling silver rings that are hand stamped with your choice of names or text. 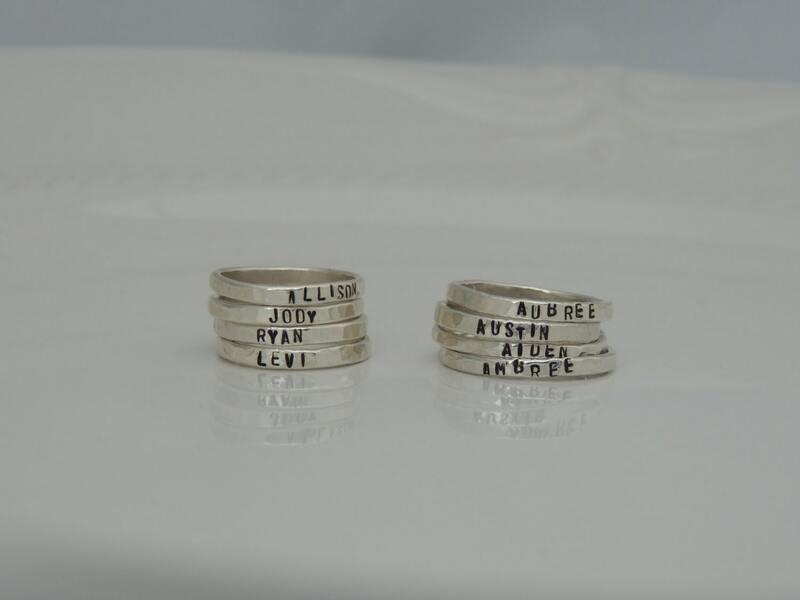 Each ring will include a hand hammered finish for an organic, rustic look. 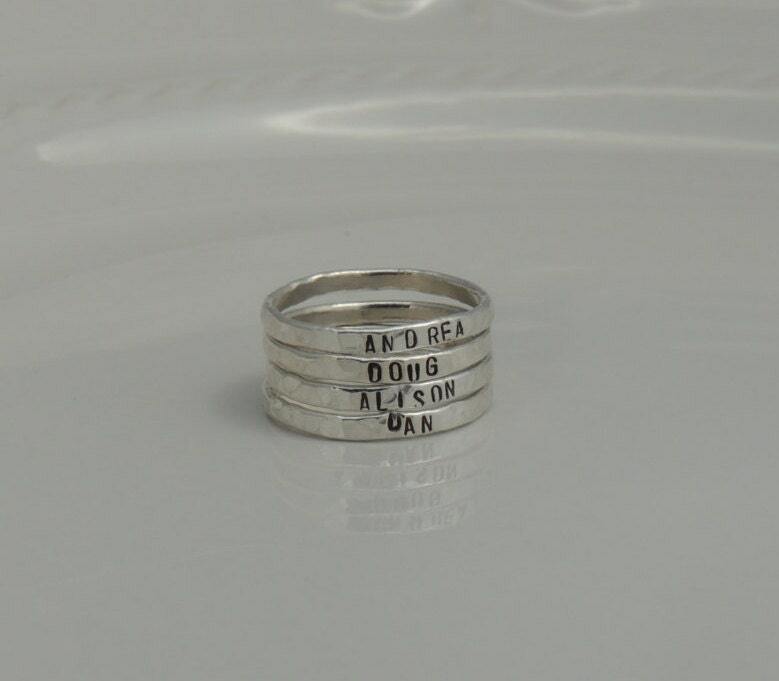 The rings will be hand stamped with a block font, uppercase font. 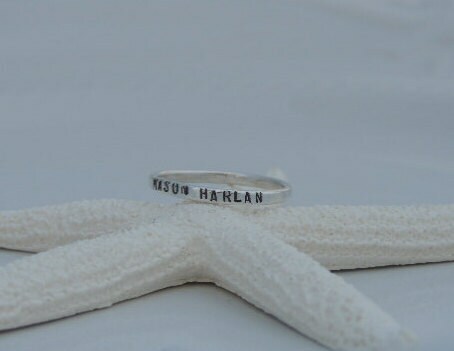 Sizes 4 and 5 can be hand stamped with up to 16 characters. 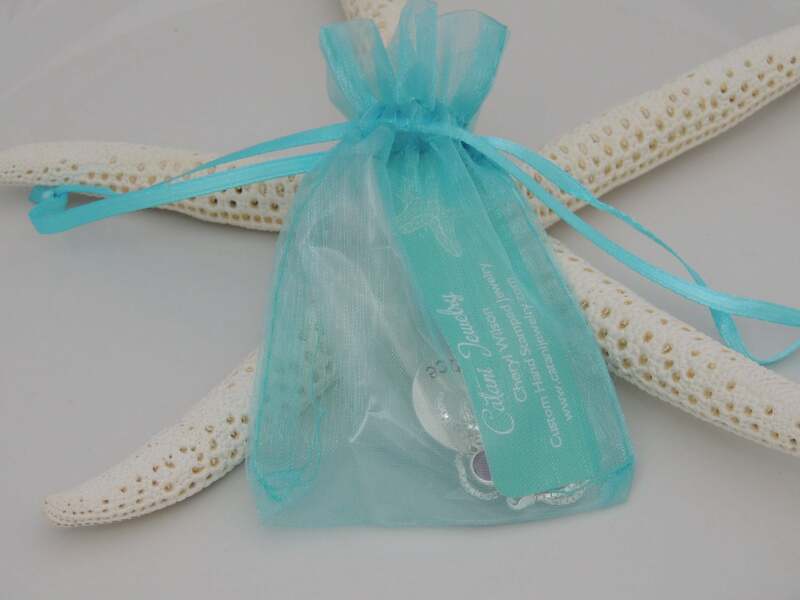 Sizes 6, 7, 8, 9 and 10 can be hand stamped with up to 20 characters. Please leave me a comment in the "notes to seller" section at checkout with the following info. The rings are BEAUTIFUL!! Thanks so much!! !